The 2018 World Finals of the Association for Computing Machinery (ACM) International Collegiate Programming Contest (ICPC) culminated today at Peking University in Beijing, China. Three students from Moscow State University earned the title of 2018 World Champions. Teams from the Moscow Institute of Physics and Technology, Peking University and The University of Tokyo placed in second, third and fourth places and were recognized with gold medals in the prestigious competition. ACM ICPC is the premier global programming competition conducted by and for the world's universities. The global competition is conceived, operated and shepherded by ACM, sponsored by IBM, and headquartered at Baylor University. For more than four decades, the competition has raised the aspirations and performance of generations of the world's problem solvers in computing sciences and engineering. In the competition, teams of three students tackle eight or more complex, real-world problems. The students are given a problem statement, and must create a solution within a looming five-hour time limit. The team that solves the most problems in the fewest attempts in the least cumulative time is declared the winner. This year's World Finals saw 140 teams competing. Now in its 42nd year, ICPC has gathered more than 320,000 students from around the world to compete since its inception. As computing increasingly becomes part of the daily routines of a growing percentage of the global population, the solution to many of tomorrow's challenges will be written with computing code. The ICPC serves as a unique forum for tomorrow's computing professionals to showcase their skills, learn new proficiencies and to work together to solve many real-world problems. This international event fosters the innovative spirit that continues to transform our world. 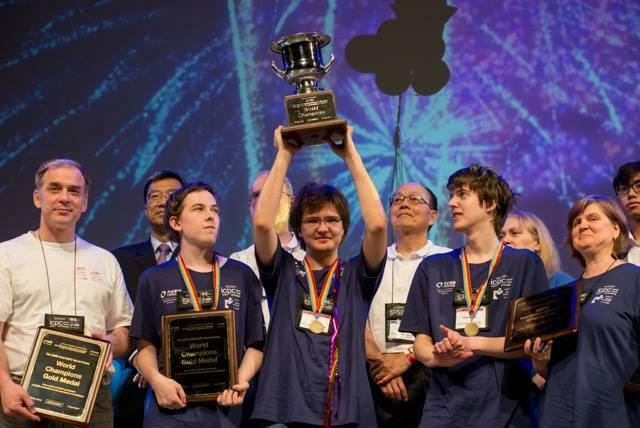 The 140 teams that participated in this year's World Finals emerged from local and regional ICPC competitions that took place in the fall of 2017. Initially, selection took place from a field of more than 300,000 students in computing disciplines worldwide. A record number of students advanced to the regional level. 49,935 contestants from 3,089 universities in 111 countries on six continents competed at more than 585 sites, all with the goal of earning one of the coveted invitations to Beijing. For full results, to learn more about the ICPC, view historic competition results, or investigate sample problems, please visit https://icpc.baylor.edu. Headquartered at Baylor University, the ACM-ICPC is a global competition among the world's university students, nurturing new generations of talent in the science and art of information technology. For more information about the ACM-ICPC, including downloadable high-resolution photographs and videos, visit ICPC headquarters and ICPCNews. Additional information can be found via the "Battle of the Brains" podcast series. Follow the contest on Twitter @ICPCNews and #ICPC2016. ACM, the Association for Computing Machinery http://www.acm.org, is the world's largest educational and scientific computing society, uniting computing educators, researchers and professionals to inspire dialogue, share resources and address the field's challenges. ACM strengthens the computing profession's collective voice through strong leadership, promotion of the highest standards, and recognition of technical excellence. ACM supports the professional growth of its members by providing opportunities for life-long learning, career development, and professional networking.